At least 13,000 people attended a rally in Paris on Sunday to protest against what they say is a crime wave targeting the Chinese community in France, police said, after a Chinese textile designer died after being mugged last month. Demonstrators waving French flags and sporting T-shirts printed with the slogans “Stop violence, muggings, insecurity” or “Equality for all, security for all” marched from the Place de Republique square to the Bastille in eastern Paris, asking for more police protection. Chaoling Zhang, a 49-year-old textile designer, died last month after five days in a coma after being attacked in the northern Paris suburb of Aubervilliers by three men who stole his bag. Members of Aubervilliers’ large Chinese community, home to many Chinese immigrants, said that the death of Chaolin Zhang was the latest in a string of targeted assaults. “At first it was just stealing bags, then it was stealing bags with violence, and now it’s stealing bags and killing. It could happen to anyone,” 31-year-old Wang Yunzhou told Reuters TV. “The people here are angry. 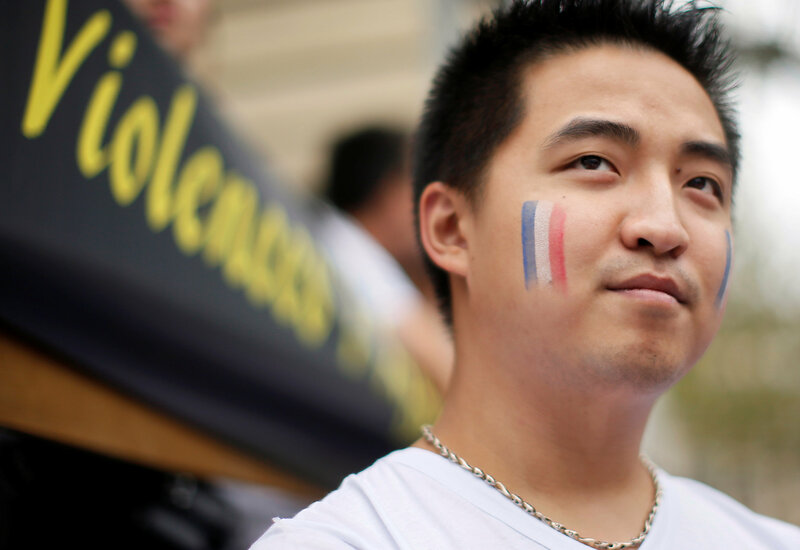 We can’t feel relaxed in the street, and if we don’t even get a basic welcome in the police station people start to wonder,” he said, adding that he moved to France from Wenzhou in south east China twenty years ago. Aubervilliers, which has a population of 77,500, is home to a large Chinese community connected to the garment trade. 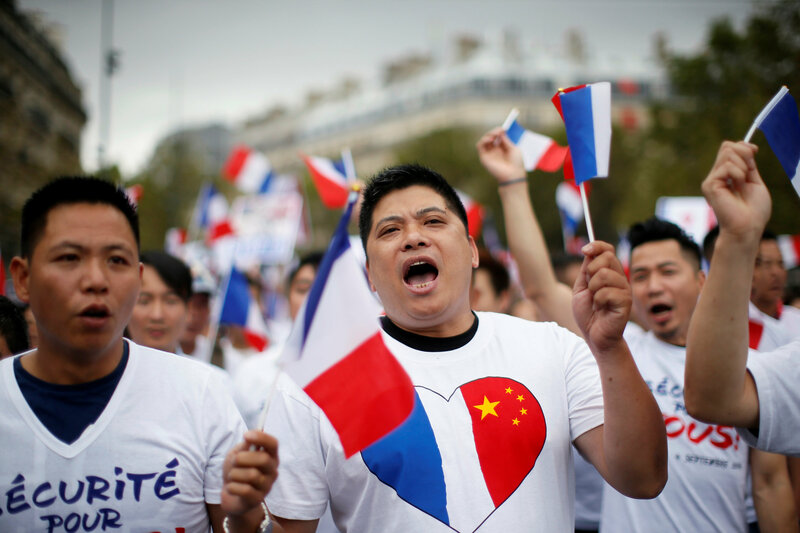 Some 600,000 ethnic Chinese people live in the country overall, including French citizens. Last month, 27 Chinese tourists were robbed and their driver sprayed with tear gas as they boarded a bus that was to take them to Paris’s Charles de Gaulle airport. The incident raised fears that Chinese tourists, important luxury spenders, would stop coming to Paris. Tourist traffic in Paris has dropped significantly since attacks by Islamist militants last November, leading to sharp declines in sales for luxury goods makers but also for the capital’s retailers, hotels and restaurants. Attacks on Chinese, Korean and Japanese tourists are also frequent in the French capital as robbers believe they carry large sums in cash and their suitcases are stuffed with luxury goods purchased in Paris, according to police. In May, Paris Mayor Anne Hidalgo travelled to Beijing to reassure Chinese authorities that Paris – the most visited city in the world – had taken measures to beef up its security.